How many of us over the last decade or so have been alerting those the Lord sends our way that the powers that be are doing their evil work behind closed doors to bring about a New World Order, or global governance as the media calls it. Prophecy confirms this as a necessity for Satan if he is to get all under his thumb to accept his partner’s mark in Rome. As long as we have been alerting the masses that there are plans for a one world government, those in power have been denying it all along. They lied for decades, yes. But most are unaware their political forefathers lied to them as well. This 6000 year old plan has been building speed towards its end for 2000 years now. When I watch the lies from Rome sail across all international datelines within each hall of Congress along the way I begin to realize that no, most that echo these lies are truly unaware of Rome’s plans. If they were, they would have burned Rome to the ground long ago as prophecy says is her destiny in the coming days. (See Revelation 18:9) Yes, there are some privy to Rome’s plans as is obvious by how some convert to Catholicism to get their piece of the prophetic pie. But still, even they cannot be 100% “in the know” when you realize just how bone evil these men in Rome truly are. If they knew, even some of the most diabolical politicians would shy away. For example, one paragraph from the Roman Catholic Jesuit priest’s oath should make this graphically clear for some that these men in the Vatican are extremely evil. He makes it look like their plans for a global government unexpectedly came about due to the economic crisis of recent days. No mention of the millions of articles and statements from Christians that have been warning of this agenda over the last few hundreds years, and especially the last few decades. Oh no, this won’t be admitted at all. Nor will any mention be made of the millions of articles wherein they are found lying about this New World Order. What’s worse, the sheeple the world over will look at this speech as gospel truth for some strange reason. They will believe everything happened by chance just as he claims in the speech because that’s the politically correct thing to do in today’s world. Did you also notice he stated in that speech that “The climate conference in Copenhagen is another step toward the global management of our planet.” Now do you see why they keep pushing this agenda forward in the media lately even after being caught red handed in those emails that were posted online after being hacked off Britain’s University of East Anglia, which proved they have been lying about global warming for over 10 years! I’m sure they have been lying for far longer, but the hacker only published a littler over 10 years worth of emails from those paid off scientists. There are literally hundreds of emails from those embarrassed scientists where they discuss keeping the lie going so as to keep government funding funneling into their pockets. After hearing the new president of the EU admit global warming is another step towards global government, we now have the smoking gun we needed. The governing powers literally pumped billions into those embarrassed scientists pockets so as to generate the option to govern the world from Rome all along. But then, prophecy did say this would happen. To make matters worse here at home… Are you aware that plans are now being made by Obama to put all Americans under the authority of the one world governing court that has been pushing this one world government agenda from day one? What is the name of this Scripturally prophecied court you ask? In this article they call it the ICC, or “International Criminal Court.” It’s been around a while. However, its real name in governing circles is the “Roman International Criminal Court.” If you seek more information on this, see my March 2001 Truth Provided Newsletter when you get time. Thanks to Christian prophecy, and now well documented recent world history, we see that it’s no mistake Rome is behind this global court. The simple fact their name is on it makes it child’s play to proclaim. Are they worried people know the Vatican is behind all this now? Truth is, they were somewhat concerned for about 70 years. But after September 11, they had all their ducks in a row in such a way that allowed them to act as if the court was recently formed. It was there all along as is evident by all the bowing and hand kissing of the popes by 174 national heads over the last 7 decades. The court never would have been brought to the U.N. table for discussion in 1998 and then “quietly” ratified in 1999 had they not had the necessary votes all along from around the world. It’s also no mistake this court, by structure, plans to ignore both the sovereignty of the United States as well as its Constitution. Two factors that must be ignored if Antichrist is to have the power he needs over all nations from his seat in Rome. You cannot govern a people without first governing their politicians who in fact write their laws. This is why we saw them draft a “new” constitution for the European Union on November 03, 2009. In the book Confusion Twice Confounded, Monsignor Joseph H. Brady states that the U.S. Supreme Court is wrong in decisions regarding “separation of Church and State.” He says: “A sound view of the Constitution in its relation to religion probably awaits a change in personnel in our highest tribunal.” -The Register, Jan. 23, 1955. “But Constitutions can be changed, and non-Catholic sects may decline to such a point that the political proscription [ban] of them may become feasible and expedient. What protection would they have against a Catholic state?” -The State and the Church, pp.38,39, by Miller and Ryan, imprimatur of Cardinal Hayes. They [Catholics] must penetrate wherever possible in the administration of civil affairs… all Catholics should do all in their power to cause the constitution of states, and legislation to be modeled on the principles of the true Church.” -Encyclical of Leo XIII. So no, it’s not so much all about Obama anymore. He’s just a puppet. He’s doing the job he was hired to do. Like all the presidents before him, he’s just following orders. I wonder, do those that have scoffed this end time message finally see what we saw 10 or 20 years ago? I certainly hope so! That’s one thing I like about Christian prophecy. It’s so accurate that it actually grants our God given message new life each time a seed is watered in the hearts of those that heard it years ago! I would like to share a few thoughts regarding some videos and articles that I’ve been holding off putting on the site for about a week or so. I held them to make sure I understand what I’m seeing here. I have posted some of them on the main page the last few days, but I am still not 100% sure on all this. It is appearing however, as I suspected at first, that more and more leaders are pulling out all stops on this Swine flu fiasco. But they aren’t so much concerned about a joint effort as of yet. Their unsystematic approach to all this seems far too obvious to me. After viewing the videos and reading the articles the last week or so I couldn’t help notice they are more concerned with watching how we react and not so much worried with what they’re calling a pandemic. Yes, some are dying, but from what I see, more are getting deathly ill from the vaccines than the flu. What they did in 1976 obviously failed in that they weren’t able to cover-up all the deaths and crippled victims of their toxic vaccine. Today however, they are able to sweep a lot of this under the rug. And rightly so, seeing how they control the media far better now than in the 70’s. The only strange thing I see in all this is, why they aren’t just using placebos instead of deadly vaccines since their efforts are more about control than mass murder for now. As students of prophecy we know the mark of the beast is something Satan needs to train his key pawns on how to effectively get the job done globally. Sure, they can scare the wits out of a few million people in some scattered regions by using fear tactics adopted by Rome. But all in all, it looks like they are completely aware at present that they are unable to get a 100% compliance worldwide. It looks like all this is nothing more than a test rather than an actual health crisis. Prophecy is plain. It says in Revelation 13:16, “And he causeth all, both small and great, rich and poor, free and bond, to receive a mark in their right hand, or in their foreheads:” As we look around we see that by their own bloated statistics, only a measly 10% of the population were planning to take the shot back in September of 2009. However, thanks to their recent propaganda efforts in the media, just fewer than 50% of Americans were still refusing the shot by mid October. What’s happening now? I wish I could tell you. But all the websites that carried the polls regarding stats on who’s actually getting flu shots, and who’s refusing have been mysteriously pulled offline. It’s obvious they’re losing the battle. Therefore, common sense tells us allowing the negative polls to stay online will make it that much more difficult for them to finish testing. However, last I checked, “MisterPoll” was still showing a whopping 85% of the people refusing the shots, even if in fact they became mandatory by the government. This is happening worldwide, and what makes it worse for them is in most countries, like the UK for example, half of the doctors are now refusing to be vaccinated. So, this is a big lesson learned for those trying to build a global system of control. They still have till April to play the flu card to gain a more accurate demographic to achieve 100% compliance, or at least as near that number as possible. So expect more scary scenarios in certain areas around the world. Their fine tuning of this thing will be an annoyance to say the least. Bottom line is this… The beast in Rome needs to be able to come up with a plan that will cause every single “lost” soul on earth to not only trust him, (worship) but to see no wrong in doing what which Rome demands. The prophecy says he will be able to convince all lost souls to do as he commands. 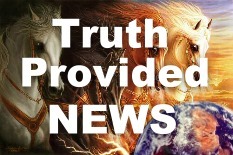 Since Rome is already slated to become “the” moral authority on earth, one can see they will be revered as that moral authority by billions out of sheer prophecied blindness thanks to the fact most are causing what the prophet Amos predicted to come to fruition by refusing to read their Bibles. (See Amos 8:11) Testing the waters to see how the spiritually blunted masses respond to their fabricated fearful reports is one step towards that end. Since the pope and his prelates are trusted by many, and in the coming days by most. When they finally spew their prophecied demands for compliance most of the sheeple will consider Rome’s words to be Gospel. As we look at how the Protestant pastors are now emulating Roman leadership techniques, we see that most everyone is now worshiping their religious leaders as Catholics do their pope. This allows for the image of the beast to be emulated even more now. This blind obedience is fueled by their lack of Bible knowledge and can be easily remedied by simply reading that which is written in God’s Word. However, in today’s society of convenience, most figure since the religious leaders are supposed to study their bibles as per their job description, why not let them read the bibles for them. Problem is, the prelates in Rome are Luciferians that are purposely seeking to destroy Christianity from within. Since they admit in their priestly oaths, they are called to infiltrate all denominations world wide over the last 1000 years, the grand majority of Protestant pastors are now either Vatican Jesuits in disguise, or Jesuit trained in Seminary. Again, since most Christians don’t read their Bibles, no one catches the easy to see prophecied signs in these evil men standing as pastor. What I see here with the swine flu conspiracy is nothing more than a testing ground to see what works best with the masses in each region on earth. Since we have so many different cultures on the planet they need to try different methods to get their universal result. This is why you see articles speaking of millions getting sick in the Ukraine, and nary a reporter in the USA seems to care about reporting on same. Seriously, a story this big would cause every sitcom in America to be interrupted with “Breaking News Bulletins” all day long. Could it be the reporters know it’s a lie designed to see how the Russians respond to it in that particular region? Or is it that they simply report what’s scripted for them by their local FCC agent? This is most assuredly one of the perks of the Internet for our side. We can look beyond the doctored and well scripted News reports with the ease of our computer keyboards. Now do you see why they have plans to censor the Internet and even temporarily shutting it down when the time comes? Information readily available online about their strategy would greatly cripple their plans if the people they hope to corral were privy to the facts. The last few videos and articles I posted on the site (early to mid November) deal with such things as a biochemist being arrested for trying to alert the public of plans of a massive bio-weapon designed to make the flu shots mutate into lethal poison for millions. Millions in the Ukraine are sick from a conveniently mutated flu virus that has caused many to die of what looks like lungs being cooked from within. Leaked plans for martial law coast to coast to contain the so called pandemic. Families being split up and sent to interment camps as terrorists for refusing flu shots, and government anti-terrorism units practicing bioterrorism drills “just in case” all the reports are true. Top that off with the never ending reports of Russian backpack nukes missing, Iran manufacturing Nuclear weapons, Russian nuclear subs a few miles off our shores, Obama planning to kill your grandparents to save money, earthquakes, tsunamis, tornados in record numbers, global warming, massive asteroids whizzing past earth a mere 8700 miles away, and a host of other doomsday scenarios and you have an absolute fulfillment of Christ’s prophetic statements in Luke 21:26. Still, even though it is as bleak as one can imagine the Christian has no fear in their heart. Let us as the remnant people take advantage of this time in earth’s history to preach the Present Truth to those that fear the days ahead without cause. The Lord will send them your way, so share as best you can. The peace of Christ will bless them like they never imagined, and then they too will take up the cross! Even in the midst of Hell on earth they will stand with smiles during all these trials knowing our God is an awesome God. Once they come to a saving knowledge that there is no reason to fear since the Almighty and ever loving Father is at the helm, they will see that all of this not only glorifies Him in the way they are doing exactly as He prophecied. It also opens their eyes akin to the blind man seeing for the first time. With such a movement of His hand as this, the heart is then assured everything is going to be alright! In fact, it’s all about to become absolutely PERFECT! The truth is now known globally that the oldest email is in fact March 7, 1996, and the latest email was sent on November 12, 2009. A mere 28 days from when Gore stated they are ALL over ten years old. So yes we have him on this hands down. There are also many other lies he has stated over the years that have been documented all over the Internet. Everything from claiming to be the inventor of the Internet, to claiming his father, a senator, was a champion of civil rights in the 1960s when in fact he was a known racist and voted against the Civil Rights act of 1964. Still, as of December 15, there are 2,120,000 websites carrying Al Gore’s statement regarding an ice free North Pole in 5 to 7 years! Strangely enough, 24 hours after I checked Google on that comment of Gore’s, the website totals dropped from 2,120,000 sites to 247,000! Are they trying to hide something? This assumption of Gore and his “scientists” is all besides the fact that real scientists that study artic ice for a living at the Nansen Environmental and remote sensing center in Bergen Norway stated that the ice is not only increasing in size, it’s doing so at an amazing rate. In 2009 the polar regions actually got colder sooner and there was one million square kilometers more ice than there was in 2007! So I ask, why all the lies and hype that’s obviously getting global leaders to gather at Copenhagen? It has to do with something they started way back in 1961. It’s all about global government. I know it sounds like a huge leap from global warming to global governing, but this is how the powers that be work best. As the prophet Daniel prophecied long ago, Rome always uses craftiness in their methods to hide the truth behind their actions. And yes, it’s Rome behind this as usual. We all know by watching the influx of greedy politicians slithering towards Copenhagen that it’s all about politics. As anyone with half an ounce of gray matter will tell you, the political structure of today is all based on Rome’s ancient political design. That being said.. how do they take the leap from global warming to global governing? Keep in mind… this is by no means an in depth representation, or an exhaustive study. Like all of you, I am just now finding out about much of this, so bear with me. This is why they like to keep their plans hidden behind locked doors. The less time we have to check into their work, the better it is for them. So, I’m just going to be highlighting the obvious factors I was able to comprehend off a few reputable online sources. 190 out of 192 have signed on to what is reportedly being referred to as the “secretive Copenhagen treaty.” It’s a secret to us of course, but the leaders knew of this treaty long before going to Copenhagen. It’s official title is “Framework Convention on Climate Change.” As the last few decades have proven in the political arena, only Rome could get that many countries to agree on any one thing. John Paul II was instrumental in getting most nations in Rome’s hip pocket, and those refusing were threatened with annihilation by the prophecied military of the Roman police force in the USA. This treaty on the table, if signed by all, has in essence generated a valid global agreement among 190 nations, hence, a global governance has been created even if at this point it is only on paper. On October 21, 2009 Lord Christopher Walter Monckton declared at a conference in St. Paul Minnesota that this treaty states “a world government is going to be created. The world government actually appears as the first of the three main purposes as the new entity. The second purpose is the transfer of wealth from the countries of the west to third world countries…” (Click here for his entire 1:35:05 long speech) He goes on to explain how all nations, including the United States will forfeit sovereignty by signing onto this treaty. This is of course something Rome will demand and prophecy declares will receive. The economic disaster of 2008/09 was “suggested” as a possible catalyst that could be used to ignite the need for a global government when back in 1961 this “idea” was drafted by the powers that be by suggesting an economic collapse, imminent domain laws, global warming, transfer of wealth, and a few other tidbits that are all but a few in place today exactly as was suggested by the Roman “secret” globalists back when John F. Kennedy tried to expose them in the early 1960s. Could it be he was assassinated for this? All of the above are well documented fruits of mass control first used by the anti-Christian Roman Empire of 2000 years ago. Prophecy does say this Empire will rise again to enforce its mark upon those the prophet Amos said refuse to read and or trust the Christian Bible in the last days. The following being subsections A,B, & C that touch on such items as “government ruling” guidelines, “financial” guidelines, (buy and sell) “compensation” guidelines, “technological” guidelines, “work programs” for mitigation of same, “international monitoring” guidelines, “wealth transfer” guidelines as well as other aspects of global government. So yes, this so called global warming agenda has nothing to do with global warming as much as it does with the global government prophecied to be Rome’s Luciferian prize in our day. What will happen once Rome gets its prophecied New World Order? What happened directly after Rome’s “Lisbon treaty” was ratified on December 1, 2009? Once that brand new EU Constitution was drafted, Rome had their power secured upon all those nations within that union. In less than 24 hours hours they declared Sunday shopping unconstitutional! Therefore, as soon as Rome gets this same power globally, we will see the very same Sunday laws all around the world just as prophecy predicted long ago. The Copenhagen treaty is merely a giant step forward in that prophecied direction. One last thing.. I can’t help but find this global warming fiasco to be a bit ironic in its framework. They use the lie that the planet is heating up so as to make trillions in profits, while at the same time force the masses into modern day economic slavery. Religiously speaking, as their fruits clearly proclaim, the leaders are in agreement with Rome who is in fact the main source of Pagan prelates on the planet. As is understandable by the rituals and dogma of the Pagan religion, they truly worship the Sun. Now for the ironic part. Since they worship the Sun instead of the Creator of the Sun, prophecy tells us that soon the Lord will give them what they crave in plague #4. The Sun scorches these wicked men and their followers with intense heat. But as for the Christians they hope to persecute, Psalms 91:10 says, “There shall no evil befall thee, neither shall any plague come nigh thy dwelling.” So, when all is said and done, Al Gore will finally be 100% correct. There will be an intense season of global warming on planet earth. But NOTHING like he could ever have imagined! It seems the prophecied beast of Daniel and Revelation has just taken a giant step closer to her prophecied healing by enacting Sunday Laws in Germany. Sunday will no longer be an option for Christmas shoppers. Ruling in favor of the Catholic and Lutheran churches, Germany’s highest court has found that the city of Berlin’s ten shopping Sundays a year go against the constitutional protection of Sundays as a day of rest. Germany had Sunday laws since 1919, however in 2006 they allowed for 10 Sundays a year for shops to be open. But 24 hours after the Lisbon Treaty, (EU Constitution) was ratified, Rome reaffirmed Sunday laws as an obvious show of both political as well as prophecied strength. The opening of shops on Sundays suddenly became “unconstitutional” thanks to Rome’s influence in writing that constitution! Now that they did this in Germany using their new Constitution as a foundation, soon all EU nations will follow suit. After all, they all have the same Constitution as of December 1, 2009. As I have been saving for years, the EU is a testing grounds for Rome. Using the Lutheran church along with the Vatican is a bold move by Satan to try and suppress the work of Martin Luther who had the spiritual insight to target the Vatican as the house of Antichrist when he posted his 95 Thesis on October 31, 1517, which later allowed so many to see this prophecied truth as Scriptural fact. Eventually the mortal wound was administered by Napoleon in 1798ad, in the exact year that Daniel 7:25, Revelation 12:6, & 13:5 predicted it would happen. That being said, I wonder if scoffers will still proclaim Sunday Laws to be a bogus prophecy of Sabbath keeping Christians. If it’s so bogus, why is the Vatican doing exactly as prophecy said they would? Will this Sunday law spread globally? The American Constitution is already being whittled away, and as I reported in the September 2009 Newsletter, Obama supporters have already started a Sunday Law campaign here in America. “Sunday is our MARK or authority. . .the church is above the Bible, and this transference of Sabbath observance is proof of that fact” Catholic Record of London, Ontario Sept 1,1923. Are you ready? ARE YOU SURE! ?